Thief is a medium armor profession with very low health, strong mobility, and high single target damage. Their unique class mechanics are Steal and Initiative. They primarily support a party with damage mitigation and long duration stealth. This guide is oriented around the thief’s role in dungeon speedruns. Though thieves have very few weapon combos, they tend to switch utility skills and traits more often than other classes depending on the situation being encountered. This guide will cover various skills, weapon combos, and builds with a strong focus on what is presently considered the most efficient options. The information is targeted at people with little knowledge of the class, but provides details that more experienced players might find useful as well. Let’s begin with a short overview of important terms for a thief. (This is covered in further detail under Mechanics[link]). Initiative – Instead of cooldowns, thief weapon skills are supported by Initiative. Thieves are the only class that can use the same weapon skill back-to-back if required. Steal – Steal is the F1 attack on your skill bar, it instantly teleports you to your target and attempts to pocket an item. If you successfully pocket an item it will be placed on F2. Stealth – Invisibility to enemies and safety from many traps. Stealthed players are vulnerable to AoEs, cleave damage, and channeled skills. Revealed – This debuff prevents a player from stealthing for 3 seconds in PvE. Dealing damage while stealthed or leaving a Shadow Refuge’s circle when already stealthed will reveal the player. Stack – all party members stand closely together to share boons or control enemy AI. Aggro – slang for aggression or aggravation, usually referred to a mob targeting you or your party. LoS/Line of Sight – usually referred to the act of obstructing melee and ranged enemies that are trying to hit you (e.g around a corner), which causes them to run towards the first non-obstructed location, thus stacking the mob. AoE – Area of Effect; any skill that has more than one target. This chain provides two target-cleave. Double Strike consists of 2 fast attacks (0.6s), Wild Strike stronger attack which restores 10 endurance (0.55s), and Lotus Strike, which is as strong as Wild Strike, applies 4 seconds of poison, but is the slowest attack of all three (0.91s). Together the Autoattack has a full duration of 2.05 seconds, and Wild Strike has the highest DPS. It is recommended to break the chain after Wild Strike to maximise DPS. Backstab replaces your auto-attack chain when you enter stealth. 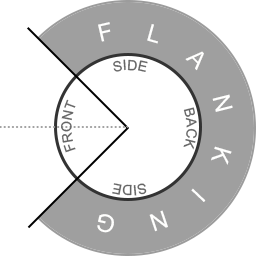 It hits for double the damage when used at a foe’s flanking position (this includes the sides, see mechanics for more details). This skill gets stronger the less health your target has. It is generally recommended to use this after your foe has lost half it’s health. The damage increases even more against targets with less than 25% health. Because of it’s low cast time, it is generally regarded to be the strongest single target DPS skill for a thief. If you look at your character from a bird’s eye view above, it will shorten the leap. When you use this skill, you evade attacks for a short time at the beginning of the animation. The length of the evade does not last for the full duration of the skill’s animation. Besides the normal damage you cause Bleed on every mob you hit. Very useless in a speedrun setting. You throw a dagger which bounces 3 times between mobs for a total of up to 4 hits. This skill is the best AoE attack on D/D and has good damage as long as there is at least one additional foe in range of your target. Does above average damage, but more importantly applies vulnerability (before the attack) and stealths you on a successful hit. It will be included in your main damage rotation against bosses. You should almost never use a main hand pistol since the skills are weak and contextual, but you’ll want to use it often in your offhand because the pistol has the best interrupt and blind skill in the game. Weak damage with relatively weak conditions applied. Attacking out of stealth is like using a mini-unload. Each projectile is a finisher, so it can be used to lifeleech bosses like the Maw in the end fractal. Low Damage. Vulnerability and immobilise last for a short time. The skill sounds okay, but it’s cost and low duration means you won’t be able to sustain it’s benefits. The highest fully-ranged, single-target DPS attack available to thief. Every succesful hit grants you one stack of might, if you spam Unload you’ll be at around 25 stacks all the time. You hit your foe with the dagger, port backwards, and shoot a bullet for high damage. Applies 2 torment on dagger swing. Port can be cancelled with jumping. Out DPSes Unload, but still not used functionally in any PvE endgame meta. Can be used to remove a bit of a defiance bar if your group has no oher control skills left but it is not really worth it. The second, and arguably primary, reason why you would want to use a pistol. Up to 5 foes are blinded upon casting and every two seconds for 2 seconds in duration for a total of three blinds to five targets every two seconds. It is easily possible to perma black powder, re-applying it back-to-back, to keep foes blinded over longer periods. To that this skill provides a smoke field that can be used to stealth your group. This skill got a huge nerf with the last feature patch so when you know you get a group with fast hitting mobs combine it with the blind of smokescreen. The Shortbow is a very powerful weapon for utilities such as a Blast Finisher, a teleport, a poison field, and an evade. It provides good sustain damage from a distance and can be used to replenish health safely. A bouncing shot which does decent damage as long as there is more than one foe. Through the projectile mechanic it can manually be activated from a range of 1200 units. If you stay within 900 units, the skill will trigger the auto attack on it’s own. Attacking out of stealth will immobilize the foe. There are better options for a thief, but it can be used if you need to immobilize Shoggroth when your other immobilizes have already been used. There are two aspects of this skill. The first is, hands down, one of the best blast finishers in the game. It can be spammed, as long as you have initiative to help stack Swiftness, Might, and much more. Here’s a great table of all combos. If you aim the skill away from your feet and activate it while the projectile is in the air it becomes a detonated cluster. A detonated cluster does not provide a blast finisher. It splits the normal Cluster Bomb into 3 smaller bombs which can each hit 3 foes. Detonate Cluster has a lower damage per bomb but a single foe can get hit by all 3, so the damage is actually higher when all three hit the target than the normal Cluster Bomb would do and you will also apply more bleeds. Cripple your foe and dodge away from them. The dodge frame is at the start of the animation. Can be used to evade attacks but you’ll need to learn good timing as there is a short activation time. A poison field, the projectile does a small amount of damage on impact.. Useful if you need poison or weakness via traited Lotus Poison, Blast Finishers, and Leap Finishers. Also helps regenerate health with each pulse of poison using Signet of Malice’s passive effect. A teleport with 900 range, useful for skipping or moving to higher terrain. Be careful where you point it, as it blinds a small area, which can cause you to enter combat. Jumping and activating this skill can help you teleport just a bit more on upward terrain as it changes the angle of the projectile. Your only cleaving melee weapon. Most attacks can hit up to 3 foes at a time. Even though Slice and Slash have the same damage, slice has a much longer aftercast which severely reduces it’s DPS. Crippling Strike is a slower and stronger attack which applies cripple and weakness to all foes hit. Slash and Crippling Strike have almost equal DPS, and it is recommended to insert other weapon skills after either one to reduce the aftercast and maximise DPS. The stealth Attack from the Sword can be used to blind a single target from the front or daze it from a flanking hit. Obviously offhand pistol is better at both, and there is no reliable way to enter stealth using S/P anyhow. Shadowstep 600 units towards the target and apply a short immobilize on hit. Becomes Infiltrator’s Return for 15 seconds, which allows the player to port 1200 units towards the circle created by Infiltrator’s Strike. Using Infiltrator’s Return will also cleanse a single condition. Infiltrator’s Return has less obstruction issues and acts a bit like a Mesmer’s Portal. A short single-target stun followed by a flurry of eight cleaving sword hits. While you’re attacking with your sword you evade all attacks. A strong attack to avoid damage but be aware of the aftercast where you stop evading on the last sword hit animation. The duration of the evade is about 1.25 seconds. 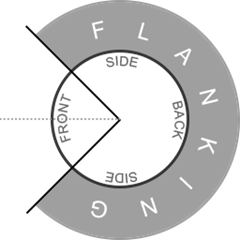 Flanking Strike is a cleaving attack which evades and opens up Larcenous Strike for three seconds. Larcenous Strike hits a single-target, has very high DPS, and can steal one boon from the target. The only melee option for underwater combat. It has better damage than the Harpoon Gun and some good evades. Applies bleed and weakness with some good damage but nothing special. You can’t use it most of the time anyway due to lack of underwater stealth abilities. A dodge followed by good damage. can be used if you don’t have the chance to use Nine-Tailed Strike. You enter a block stance for the next 1.5 seconds. If you successfully block a hit, you’ll drop your stance and attack multiple times with cleave damage. The strongest attack in the spear weapon set and should be used if you can safely block incoming attacks. You pull yourself to the target foe if it connects. Causes a little “knockback” when you reach the foe. Almost never used functionally. Weak autoattack with some bleeds. The only really useful Attack in this Weapon Set. You shoot 4 shot’s against one foe with decent damage. You shot at your foe while you retreat, leaving a trail of small poison fields. Decent damage with a cripple, not really needed underwater. A shot which pierces foes and leaves a trail that blinds every second. You can use Smoke Trail to port to the projectile’s position, otherwise it will port you to the end of the shot on it’s own. Normally you’ll get a fast rally from trash mobs, in bossfights just wait and try to stay in a safe spot that your group mates can revive you. When you see an enemy on low hp try to hit him to rally on him. A helpful spell which should be used wisely. You can port out of AoE or to the back from an foe. If you’re in a safe position always wait to use it till you really need it. You’ll get a short stealth, can be used to lose the aggro for a short duration. Your downed heal. Cast breaks when you get attacked. If you get downed underwater and there is no chance to rally, you should swim up to the water surface and rally there. It will cure burning, poison, bleeding and confusion before it heals so you can use it without worrying about the 33% decreased heal potency from poison. Use it when you know you’ll get hit with these conditions often or the other heals would be less effective. Helps to skip past mobs and in activating Revealed Training in Deadly Arts with a free backstab. Withdraw has one of the best healing per second coefficients, removes all movement impairing conditions (such as cripple, chill, immobilize and even torment), is the only uninterruptible healing skill, and provides a good evade window. Sometimes there is a short delay on the activation of the skill and it can roll you for a great distance. The rolling animation can be cancelled with a weapon swap; this will still provide the healing but will remove the evade from the skill. This is useful when you accidentally start to roll off a platform or cliff. It is possible to turn the camera 180o and use it as a movement skill. Even though traited Signet of Malice has the highest healing per second coefficient, it is rarely activated as the true power of Signet of Malice lies in it’s passive effect. Each attack that does direct damage, applies a condition, or both will heal the player for a base 133 points of health. There is no internal cooldown or target cap. That means using a fast hitting cleaving attack such as Pistol Whip can hit 25 times in ~2 seconds and almost heals equivalent to the activation effect of this signet. Another fast hitting attack is detonating Cluster Bombs which will hit 9 times every second in a crowd. It is a less powerful heal than Pistol Whip, doesn’t provide any evade frames, and is harder to maintain initiative wise, but may be your best option for healing based on what you have equipped. Skills which apply damage over time are also helpful. This includes the Shortbow’s fourth skill Poison Field which pulses health on up to five targets four times (20 hits = 2,660 health points) or the utility skill Caltrops which hits up to five targets eleven times (55 hits = 7,315 health points). Lastly, the elite, Dagger Storm, in a crowd might heal you fully with it’s 30-50 hits as well as reflected projectiles. Currently ignored by almost the entirety of the endgame thief community in all arenas of gameplay. Even when traited it is less effective than every other heal and has no utilities such as condition cleanse, stealth, or evade. Feel free to leave it locked. Signets have both passive and active effects. The passive effect will disappear on activation and for the duration of the cooldown. There are two traits in Critical strikes, one which reduces the recharge on signets by 20% and restores a single point of initiative, and another which provides 5 stacks of might (175 power) for 10 seconds on signet activation. This signet provides 180 power as a passive effect. Activating it will cause your next 5 hits to deal 15% more damage. In most scenarios the long cooldown or the small hits of Fiery Rush don’t benefit greatly from activating this. It would probably be best to activate when you are heartseeking an enemy below 25% health and are about to end the fight. Though this signet is the best DPS choice, its support capability pales in comparison to the next signet. This signet provides 180 precision as a passive effect, which roughly equates to ~8-9% critical chance. The insanely good active effect removes a single condition and restores 100% endurance for all party members within a 360 unit radius. It is very often a priority to equip this over Assassin’s Signet in case of needing extra dodges to survive or removing damaging/controlling effects such as long burns or fear off your party members. Remember, thieves have no blocks like aegis they can provide their party members, so dodging is the most important thing to stay alive, and Signet of Agility is therefore our number one panic button in speedruns. Its passive increases your movement speed by 25%, which is helpful for running without swiftness. However, it should not be equipped in combat, there are very few cases where it helps, and no situation where it is absolutely required. The active effect is a single aoe blind, which is very useless for speedruns. The better choices are Black Powder on Pistol or Smoke Screen. Provides 1 initiative every 10 seconds and breaks stuns + shasowsteps to your enemy when activated. Thieves and Rangers are the only classes with access to traps. For a thief, they place a 900 unit line directly underneath themselves with a short cast time. The traps are invisible to enemies and unblockable. Occasionally, there are times when traps are a good idea to slot. Knocks enemies down and cripples them. Can be used to remove a good chunk of a defiance bar. Needle Trap is basically just an immobilize for 3 sec. Your immobilze for solos, in groups better take Devourer Venom. You can summon a thief companion for 20 seconds. Most of the time bosses will focus the companion when you are alone. Shadow Trap is the most useful trap you have. In some ways it acts like a Mesmer’s Portal. You can place it anywhere, and for up to 120 seconds the player can port back from up to 10,000 units. To put that in perspective, that’s the left-to-right and up-to-down of your mini map at full zoom. However, the trap often fails through obstructions, so it is an imperfect portal replica. A thief can use it to solo the corrupted light part (orbs) in arah path 3 and 4 or to bring back the wisps to the trees in the swampland fractal. The trigger effect is of little use for speedruns. Venoms add effects to your attacks and the attacks of your allies within 240 range of you. If you activate a venom the range of it is shown with a blue circle around your character. Only those allies who are in it will get the Venom applied to them. If used with a party you get up to 10 second of immobilize just from this skill. Can help with nailing down running mobs. This Venom applies chill to the attacks of your group, can be helpful in controling mob groups. Do not use, your auto attack will provide enough vulnerability. Most of the tricks are very situational. You will not use them often either. Caltrops causes 10 seconds of cripple. This will not stack in duration, but will refresh the full duration every second the foe is inside the field. You can use it to slow grawls in the volcanic fractal and, because it is unblockable, the endboss in “bubble” form. Remember, caltrops also triggers the passive effect of Signet of Malice on up to 5 mobs every second as mentioned in the heals section. Haste provides 6 seconds of Haste and Fury. It is best to use it during short encounters. It can also be used to reduce cast times. Roll of initiative provides burst initiative on a long cooldown. It also acts a bit like the Withdraw heal by providing an evade and removing all movement impairing conditions. You can use it when you really need more dodges. Scorpion Wire is good to pull single mobs or bosses from 1,200 units, but sometimes it will just knockdown the enemy instead of pulling him. Use it when you just want to fight one mob at a time, to save the humans from the grawls during the first boss fight in the volcanic fractal, for pulling molten protectors out of fire circles, or speeding up the pull on fyonna in TA. Just be aware of pixels on the ground where the enemy could get stuck. Deceptions are often hailed as the master race of utilities on Thief. They are used in all game modes and provide some serious levels of badassery. Applies 3 seconds of stealth to the party, acts as a blast finisher, and blinds enemies. Because this utility deals no damage, it can be used safely with a smoke field near mobs to get 6 seconds of stealth, albeit entering combat will cause the player to run slower. You can also use it while doing the 4th skill of the elementalists frostbow to get 200 more power from revealed. An instant 1,200 unit teleport that requires line of sight. Shadow Return becomes available for 10 seconds after the first shadowstep. Both steps will break stun, so this should be your number one choice when looking for a stun breaker. Shadow Return also cures 3 conditions, if you need to slot more condition removal. It can be used as a movement skill to skip mobs. Smoke screen should be slotted for most encounters. It can block projectiles for 7 seconds, which helps when a group lacks a Guardian or Mesmer. It will also blind foes that stand near it, so it is perfect when you forget to equip an offhand pistol or have to fight more than five mobs (AoEs affect just 5 targets at a time). In addition, Smoke Screen is a smoke combo field which provides stealth for your group when you or your groupmates blast it. Every blast provides 3 seconds of stealth so 4 blasts at the same time are enough to cap stealth but don’t use your Cluster Bomb when mobs are in the target circle because the damage will reveal you. Likewise it’s smoke field can be used offensively. When you Heartseeker through it, the leap will stealth you (Heartseeker will still do it’s damage without revealing the player). Then using a Backstab will trigger Revealed Training. Heartseeking through Smoke Screen needs 3 initiative, whereas stealthing via Cloak and Dagger requires double the initiative. Shadow Refuge can also be used offensively to trigger Revealed Training and save initiative, however it’s mostly used in skip encounters as it provides 12 seconds of stealth to run with (15 seconds if you put 3 points in SA). To get a full stack of stealth, the players must be inside and remain within the circle until it disappears. Leaving the circle while stealthed will reveal the player for 3 seconds. It can help lose aggro of accidentally pulled mobs and revive downed party members including yourself. If you are about to be downed by conditions, place Shadow Refuge around yourself. Getting downed will clear all conditions and the stealth duration should be enough to revive yourself safely. Thief elites are in comparison to other classes pretty interchangeable depending on the situation. Dagger Storm reflects projectiles and can protect your group when they are stacked on your character. It is the thief’s only reliable source of stability and can be activated and broken with ESC or dodge to get 3 stacks of stability for 3 seconds without the reflection or damage. Dagger Storm is one of your strongest AoE skills because it’s not capped to five targets. Every dagger thrown out bounces to an additional foe and cripples them. In a group with Signet of Malice equipped, using Dagger Storm is basically a full heal. If used in a smoke field, you will also blind every foe who gets hit. This will call two companions, one ranged and one melee, for 30 seconds and should be used in short boss fights to boost single target damage or during solos to let them take aggro of the boss. Be aware that one of the thieves will use scorpion wire in the beginning which can pull bosses without defiance to a bad location. They will not attack until you do. If you want to know exactly what they do and how much damage they can deal read here. If used with a group you’ll get a strong control skill to destroy defiance bars. Make sure you have atleast four other players in range to maximize the effectiveness of this skill. The list below describes the specializations and traits that are commonly used in PvE as well as traits that have their use in niche situations. Deadly Arts is all about Conditions and Poison but also provides some significant direct damage buffs. The grandmaster minor called Exposed Weakness increases the damage to a target with conditions on it by 10%. This should always be given in a normal dungeon group. While the damage of Mug is not good, the heal can help you to stay above the 90% threshold of Keen Observer, Flawless Strike, and your Scholar Rune Bonus. Try to save steal for the heal if it is not needed otherwise. If you need immobilize, this one is the go to trait as it doesn’t sacrifice a damage modifier trait. Be aware that the trap gets placed after a short delay, stay at the location you want it to be until it is placed. You may want to take this trait if you use your shadow trap to change your utilities back faster after using it. If you still lack immobilize after using Trappers Respite, go for this one. It only works on foes below 50% health. You want to have this trait equipped in most combat situations as it provides a good damage buff in your backstab rotation. You can also make use of it while using the elementalist’s conjured weapons and activating a stealth skill like your heal. This trait provides 20% more damage to foes below 50% health. You never want to swap this trait for another. The Critical Strikes specialization is built for increasing your crit chance and your crit damage. As critical hits give you an enormous damage boost compared to non-critcal hits, you always want to have this specialization. This is one of the traits that require you to stay above 90% hp to provide their bonus. Always try to maintain your health above this threshold. You get increased critical damage but like Keen Observer it requires you to stay above 90% hp. While you get a good boost on your critical hit chance, you barely need it and it is only of use in groups without banner of discipline and when you are not able to maintain 90% of your health at all. This will help you to keep your fury up if your group does not provide enough. In General this is the trait you go to in the master part of the Critical Strikes line as it provides a big boost to your critical damage. You should only use this trait in solo runs or in really bad dungeon groups that are not able to maintain a great amount of vulnerability. Ferocious Strikes works like Executioner but above 50% health and with only 10% more damage. With No Quarter you can maintain 100% fury uptime all by yourself while getting 250 ferocity under the effects of fury. Even if your party can provide enough fury, you get a decent damage increase from it. This trait is your strongest heal as it converts 15% of your dealt damage into healing. Take it whenever you are not able to maintain your health above 90% for most of the time, but don’t forget to swap back to No Quarter when you are confident in doing so. Special Use: Crystaline Enteties in Arah P1. The Shadow Arts specialization is the supportive line focusing on stealth. Although there is a use for it in combat, it is most commonly used in between the fights for stealth runs. You should always take this trait for stealth runs if you use your utilities for it as it reduces the recharge of Smoke Screen, Shadow Refuge and Blinding Powder. Next to that you can use it to get Shadowstep off cool down faster during a skip and to reduce the cool down of Thieves Guild before entering the fight and swap back to another trait line after you summoned it. In general you don’t want to have the Shadow Arts line in combat so only use this one if you have high condition pressure on you while your teammates are not able to cleanse you. Meld with Shadows is the main reason to take Shadow Arts for stealth runs as it increases your stealth duration. Be aware that only stealth you apply has a longer duration. This trait grants two seconds of stealth on steal. The main reason to take it is that you get 50% movement speed with it while stealthed. If you have to provide all the stealth by yourself because your teammates don’t blast in your smoke fields, this trait will help you to maintain enough initiative. If you really want to take Shadow Arts into combat you can also use the trait to regenerate some health and manage your initiative better while doing your rotations. Rending Shade lets you steal two boons with stealth attacks and reduces incoming damage from enemies without boons. The Acrobatics specialization is all about dodging /evading attacks. It is barely used at all as you should have enough endurance most of the time anyways. (Dagger auto-chain refills endurance, Signet of Agility refills your endurance to 100% on use, Vigor on steal if traited) If you really want to use it, for example to practice Giganticus Lupicus, you can find the right Traits in the Build Variations Section. The Trickery specialization more of a utility and supportive trait line which enhances the effects of your Steal ability. Good Trait to manage your initiative, try to wait with stealing until you have used some initiative. This should be your default trait in organized groups with enough fury to boost you damage a bit. If your group lacks fury or swiftness this trait will provide 10 seconds of both group wide. It even activates if you use Steal untargeted. You will get 3 more initiative which will help to maintain your Rotations for a longer time or to blast more stealth while doing stealth runs. Bountiful Theft is great for supporting your group with vigor and stealing boons from your enemy. The effects of this trait will only trigger using steal on an enemy. Trick utilities benefit from this trait with lower cool down and a condition cleanse. This trait increases your damage and condition damage for every initiative spent. This effect will stay for 15 sec., with your normal Backstab rotation you should be capped at 15% at all times. Your current modifier is shown in your boon bar with and the number of stacks written on it. Helps you to manage your initiative, always think about how a weapon swap could benefit your rotation. Quick pockets will also grant you 3 initiative on picking up conjured weapons. This trait reduces the cool down on steal to let you use it more often, but it also dazes. Dazing on steal can help to rip stacks of defiance off a boss to use a stun with long duration but it can also destroy said tactic if you are not careful. Untarget your boss for using steal if you don’t want to daze him. The Daredevil is the first elite specialisation for the thief and is only available for those who bought “Guild Wars 2 Heart of Thorns”. With the Daredevil we get the staff as a melee weapon with good direct damage attacks, new utility skills and a new traitline which benefits the staff and the new class mechanic. Once you unlocked your elite specialisation you get access to three instead of two dodges, steal and initiative remain untouched. The new grandmaster traits upgrade your dodge ability in different ways. When you unlock the first bit of your Daredevil track you can use the staff right away. The auto attack chain of the staff hits three targets at once and applies four stacks of vulnerability with Punishing Strikes. The last attack also reflects projectiles for the full duration which is useful if you are fighting against ranged mobs. Keep in mind, that you can turn your auto attack off which allows you to use the third skill at the right moment if needed. The staff auto attack alone deals the most damage a thief can do. This skill is just not useful at all, with staff you are barely stealthed, the cast time is really long and it deals laughable damage. Even for removing a breakbar this skill is not worth it. Weakening Charge is your skill with the highest damage per initiative on staff and also cleaves. To that it applies weakness which also slows down the regeneration of a boss’s breakbar. If your enemy has a small hitbox it is not always easy to hit with all three hits of this attack, combine it with steal to guarantee all hits or untarget your enemy and do this attack while looking from above to shorten the length of the distance you travel. If you don’t want weakness, don’t use this skill as the auto attack provides higher dps. This attack does two cool things, it removes immobilze and provides you an evade for half a second. Use it to get out of dangerous situations. The distance you roll back is bigger if you hit a foe. Used for blinding specific attacks really fast. Vault deals high damage but has a higher initiative cost and a longer casttime compared to Weakening Charge. In fight is is useful to get the last hit on an enemy away from you to save the day and let your teammates rally. You shouldn’t use it in your damage rotation. Out of combat it is a targeted leap and can help you to jump over gaps or cliffs. Beside the heal, most of the physical skills have more of a niche use and seem to be more useful in PvP situations but they have some uses. Brawler’s Tenacity reduces the cooldown of physical skills and you will gain 10 endurance on use. Channeled Vigor is your new healing skill and extremely uselful. It pulses three times and restores endurance and health with every pulse. You get almost 2 bars of endurance full, if your endurance bar is already full it will heal you for more instead. If you are playing the Daredevil, this should be your default heal. This skill is stunbreak and a block on a 15 sec. cooldown. If you get hit by an enemy in melee range it knocks him down so better don’t use it when you want to skip mobs as it might get you straight in his face. Great for fights like mai trin. Since we got breakbars, this skill has no real use in PvE. Don’t use it to break the breakbars as it is not efficient enough for the cooldown it has. Fist Flurry chains into Palm Strike if you land all hits of it on your target. Both attacks together deal a good amount of damage, so if you don’t need to take other skills feel free to slot it in. With good timing you can also remove a bit of a boss’s breakbar. This utility throws three daggers, each of them with different conditions(poison, slow, immobilize) and deals a good amount of damage if all three daggers hit. Should only be used if a boss has a breakbar as slow and immobilize are affecting it. In PvE this elite is only useful to remove a big chunk of a breakbar. For that use the first two skills of this chain. It has the same cooldown as Basilisk Venom but removes way more than it. The Daredevil traitline is basically what the acrobatic line should have been. Most of the traits are built around the dodge mechanic and the grandmaster traits will allow you to change your dodge completly. This trait will basically give you a third endurance bar. Brawler’s Tenacity reduces the cooldown of physical skills by 20% and you will gain 10 endurance on first activation of a physical skill. If you use many physical skills and want that extra endurance you could go for this trait but the other traits are better in most cases. In most fights you will be meleeing your enemies and this trait gives you 7% bonus damage for melee fights. You should go for this trait in most cases. If you use Staff you already apply more than enough weakness, only use this trait if you really need extra defense. Heals you for evading an attack succesfully. This Trait removes a condition on evade, use it if you have high condition pressure on. This trait should not be used because the you interupt your enemies not often enough and bosses have a defiance bar. This trait should only be considered if you are not using staff as main weapon. With staff as you main weapon this trait gives you a 10% damage buff while your endurance is not full. It also gives you a small amount of endurance back for every initiative you spend on staff. This is your main choice for the master traits. Refills on endurance bar und a succesful steal. Can save your life with an extra dodge or helps to fill up your endurance bar to make your heal (Channeled Vigor) more potent. The Daredevil Grandmaster Traits allow you to give your dodge additional functionalities. The duration of your evade stay the same. Your dodge ability gets replaced by Dash which increases the range of your dodge, gives you swiftness and removes immobilize, cripple and chill. To that you get 10% reduction on incoming damage and condition damage for four seconds after dodging. If you want to get somewhere fast slot this trait in. This trait makes you the fastest class. You can use Channeled Vigor and Signet of Agility to refill your endurance to use it more often. In most combat situations this dodge should not be used as it moves out of melee range on small bosses. Make sure you swap it out before entering a fight. Lotus Training is our condtion alternative and shouldn’t be used in serious combat but it is great for tagging mobs to farm loot or experience as it throws three daggers in a 600 radius. 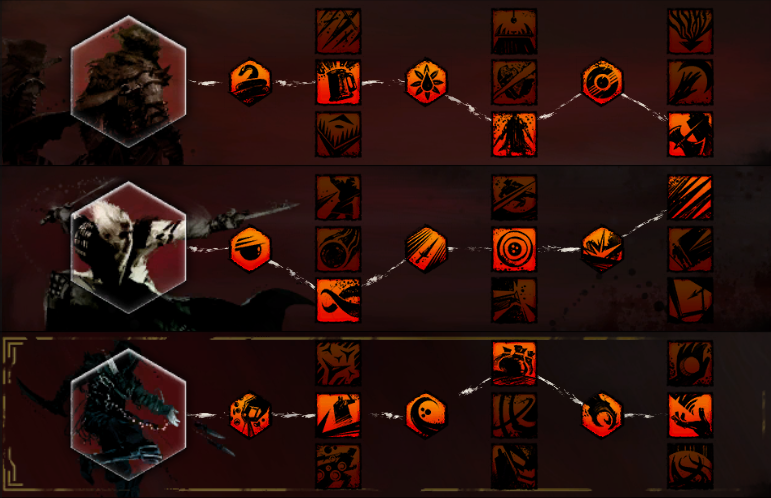 The following build shows the standard build you should use in combat. Depending on the situation you should use different traits, those are explained above. Deadly Arts and Critical Strikes are almost identical to the non-Daredevil-Build, Revealed Training however has no use if we use the staff as main weapon. 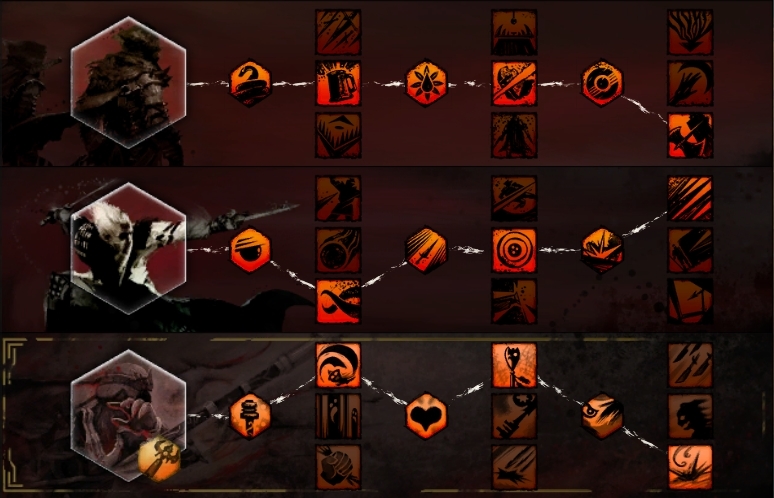 The first option is Panic Strike for frequent immobilize and the second option would be Deadly Trapper which is only good if you use Trappers Respite in the adept section and lose Mug. Both options are equally viable and you have their benefits in different situations. In the Daredevil line we use the traits for the highest damage output in combat. If needed you can swap the traits to more defensive ones depending on the situation you are facing. Alternate between auto chain and Weakening Charge. Dodge as soon as your endurance bar is near full to maintain the damage modifier from Staff Master and to get the modifier from Bound. Use Fist Flurry on cooldown, don’t use Palm Strike. If you use food with damage modifiers that trigger on movement try to move at all times. This section is shows the optimal build if you don’t have acces to the Daredevil or don’t want to use it. [Deadly Arts], [Critical Strikes] and [Trickery] is the basis of all your speedrun builds. It is highly used in organised group compositions. Full might, fury and Banner of Discipline should be givens. Variations are provided best to worst. Try to limit the variations as much as possible and learn which changes are better for the group in terms of DPS, Support, and Mobility. Swap [Trickery] with [Shadow Arts] and take Concealed Defeat. Do not use Cloaked in Shadows as it could blind nearby foes and put you in combat. Swap [Trickery] with [Acrobatics] and use Vigorous Recovery, Hard to Catch and Upper Hand. Thrill of the crime [Trickery] can provide boons with an untargeted steal. If you’re not in a perfect group, this should always be slotted. Haste will speed up your auto-attack, but revealed remains at 3 sec. Stealth accordingly as soon as possible. Revealed Training will work with a Conjured Weapons as well. Use a stealth skill (Hide in Shadows, Blinding Powder or Shadow Refuge) before attacking with them to get the buff. Invigorating Precision [Critical Strikes] can be helpful against conditions/retaliation to stay over 90% health for the Scholar Rune and Keen Observer bonuses. Side Strike[Critical Strikes] and Flanking Strikes[Trickery] are misnomers as they work from both the sides and the back of a target. Thieves boast an incredibly high critical chance from traits. Therefore they rely on their gear to get as much power and ferocity as possible. Berserker’s weapons, armor, and trinkets. Scholar’s Runes for the armor. If the gear is ascended, aim to slot them with power stat infusions. Note: underwater fights will also require a Scholar Rune on the Aqua Breather for the +10% damage bonus. You can use Force + Air sigills in every weapon set you use. If you run a specific dungeon often you can also get another weapon with the specific sigill for the dungeon. Example: If you run Arah every day use Force + Undead Slaying for it. Here you can see which sigill is required for each dungeon. For Nourishment you’ll want to use the dungeon’s appropriate Powerful Slaying Potion. These can be bought cheaply off the trading post, purchased with dungeon tokens, or looted from chests inside the dungeon. Unfortunately, since there are several potions for different dungeons, these can take up quite a bit of inventory space. If you are in raids or a dungeon without an easily accessible slaying potion (e.g Ascalonian Catacombs) or one which changes a lot (e.g Fractals of the Mists), you should use Sharpening Stones. 2. In Crucible of Eternity, most of the mobs are actually Inquest, however Subject Alpha counts as Undead. In addition, Bjarl counts as an Icebrood and The Evolved Destroyer counts as a Destroyer. 3. In Ruined City of Arah both Belka and Brie also count as Undead. None of the consumables mentioned here are necessary to complete any content efficiently or quickly and are a sample of what you may see in a dungeon speedrunner’s inventory. Harpy Feathers – 3 seconds stealth (6s CD). Can be chained with the next two consumables to achieve longer durations of stealth. It applies blind to enemies in a small radius around you, which can put you in combat, so try to use them without hitting any mobs. Order of Whispers Spy Kit – 3 seconds stealth (60s CD). Can be chained with Harpy Feathers (Feathers ⇒ Spy Kit ⇒ Feathers) to get 9 seconds of stealth. Ash Legion Spy Kit – Applies camouflage for 10 seconds (60s CD). Camouflage is a type of stealth that works while motionless. Moving will break stealth. Camoflage is unaffected by stealth traits. Useful for dropping aggro or standing on pressure plates. Fire Elemental Powder – Summons an Ember to fight for you for 5 minutes or until it dies. Offers a small DPS boost and fire fields, however it also has other uses such as catching the phase 1 -> 2 transition Grub at Giganticus Lupicus. Ogre Pet Whistle – Summons an Ogre Pet to fight for you for 5 minutes or until it dies. Offers a small DPS boost, however it also has other uses such as catching the phase 1 ->2 transition Grub at Giganticus Lupicus. Using this item when knocked down will also act as a stun breaker. Pot of Hylek Poison – Has 2 spells, one which gives you 10 seconds of swiftness on a 15 second cooldown, and another which will destroy the pot but place a poisonous cloud in an Area of Effect. Can be used by a Thief to trigger an AoE Lotus Poison without creating a combo field. Helpful during the initial pull in many fractals when the party is stacking might. Medical Pack – Has 2 skills,Drop Bandages and Drop Stimulant. Useful for classes/builds with little or no access to swiftness or fury. Power Matrix – Applies an AoE daze. Useful for large groups of trash mobs such as in Fractals. Gem Store Boosters – Stackable with each other, these can be obtained from various story quests, dailies, monthlies, black lion chests, or free promotions in the gem store. Initiative is the unique weapon skill cost mechanic for thieves. Points of initiative replace the hard cooldown of weapon skills with a soft cooldown which requires each skill’s cost to be supported by the initiative pool. Speedrun thieves generally have a max of 15 initiative. Each point is replenished at a base rate of one per second. Traits and utilities can affect this regeneration. The trait Lead Attacks [Trickery] increases your damage and condition damage for every initiative spent. This effect will stay for 15 sec., with your normal Backstab rotation you should be capped at 15% at all times. Many Thief traits and skills mention a “Flanking” or “Back” bonus. They are synonymous, which means Side Strike, Backstab, Flanking Strike all refer to the same bonus. It is the sides and back as shown by the gray circle below. As long as you attack an opponent from anywhere but the 90o section in front of them, you’ll get the flanking bonus. If possible, a thief should always be flanking their target. Stealth is one of the thief’s key tasks. Though dealing damage while stealthed will reveal the player, applying conditions such as blind will cause the player to enter combat without becoming revealed. There are multiple methods of stealthing a party. The choice of skills used depends on how long you need to stealth, but they are some combination of Pistol 5 (Black Powder), Smoke Screen, Blinding Powder, and Shadow Refuge. For a short stealth (3-6sec) you will use Black Powder and Blinding Powder with an additional Cluster Bomb. The same method allows for longer stealths, if the party helps blast the smoke field. If your group is unreliable, use Smoke Screen. Through this duration you’re able to use Cluster Bomb enough times to get stealth for 10-12 seconds. If you need more stealth while running and you are unable to blast again, you can use Shadow Refuge. Whatever you end up doing, always tell your party what are you planning to do and ping your Skills with ctrl+click in chat multiple times prior to activating it so that they know when to stop and help.The videos below show you how to use them in dungeons and how long you can stealth your group without changing traits or additional blast finishers. Thieves have many options to help their party mitigate damage. The most common method is using smoke fields such as an offhand pistol’s Black Powder or Smoke Screen to blind foes. Each smoke field can affect up to 5 foes once a second. Weakness can be used on Bosses like the Mossman, Archdiviner, or Dredge. Weak foes have a 50% to use a Glancing Blow which deals half it’s normal damage. Thieves can weaken opponents with the trait Lotus Poison in Deadly Arts, via Skale Venom, or even by leaping with Heartseekers and blasting with Cluster Bombs in a poison field like Choking Gas on Shortbow. Lastly thieves are the only class that can replenish a party’s endurance in melee range. Using Signet of Agility with or without the Signet Use trait in Critical Strikes can be very helpful in keeping your party alive. Thieves are only capable of applying stealth, blinds, and weakness with their own combos. However, there are many other combos that should be noted when in a party. Combos are affected by both the finisher being performed and the field that was laid down first. This will take into account which field was placed first based on the location of the blast. Fire: 3 stacks of might for 20 seconds. It is considered a good practice to blast fire fields prior to a fighting encounter. Poison: 5 seconds of AoE weakness. This can be helpful against mobs of dredge that are immune to blinds. Water: ~1,400 AoE Heal. This is a bit weak, but could save some lives. The NPC, Rox, in the Molten Boss Fractal often uses a water field. There are many other Combos (for more information check the linked Wiki) but normally you’ll use the Fields listed above. With Infiltrator’s Arrow and Shadowstep the thief can save time where a player would normally climb up structures. For instance, the wooden ramp after protecting hodgins from the burrows in AC, the ramps between the different Sigils in the Cliffside Fractal (even while carrying the hammer), or the ramps with the levers for the Dredge Fractal Endboss. There is no general guidelines to teleporting correctly. It is mostly a trial-and-error process and new teleport locations can still be found. There is an after cast on sword/pistol 3 and shortbow 3 which is when you’ll most likely take damage from enemies. If you need to be extremely safe cancel the end of the animation with a dodge. You can use caltrops on enemy mobs while in a Shadow Refuge and you will remain stealthed. This can allow you to trigger the passive effects of Signet of Malice with more safety. It is possible to assign a keybind to clear target. This is helpful to hit prior to using Fiery Rush on FGS or having to spam HS as a movement skill quickly. Open the options menu and look for “Lock Autotarget” under “Control Options > Targeting”. Using “Instant” under “General Options > Combat/Movement > Ground Targeting (dropdown menu)” will speed up cast times and your fingers will do less work. The main caveat is that a player may not be familiar with the distances yet. Withdraw can be used as a movement skill using an advanced technique. Check “Use Free Camera” in General Options and assign a key to “About Face” in Keyboard Shortcuts. While auto-running, Left Click the screen once, and you can hit About Face to turn the character around while the camera faces forward. Then use Withdraw and click the Right Mouse button during the heal animation to keep running forwards. Weapon swapping will cancel rolling animations but maintain some of their benefits. Withdraw heals and Roll for Initiative will replenish 6 initiative and the player can get to using their weapon skills immediately. Can be used to stop rolling off a platform or cliff. It is easily possible to stealth for a minute via this method: Smoke Screen + Cluster Bombs, …, Shadow Refuge, …, Pistol 5 + Cluster Bomb + Cluster Bomb + Blinding Powder, …, Smoke Screen + Cluster Bombs. Weapon animations on D/D should be ignored for distance. You can actually hit targets from much further away (especially if you’re asura). Test the range on golems in Heart of the Mists. Weapon skill rotation’s are the lifeblood of the Thief gameplay. Managing your initiative with a rotation is easy and provides the most DPS for your party. It is recommended that players practice these rotations on Test Golems in Heart of the Mists. Dagger/Dagger is the highest damaging weapon on the core thief. The rotation is easy to learn. The auto attack provides the highest damage but you still want wo use initiative skills to get the 15% more damage from Lead Attacks. For that you alternate between three auto chains and Cloak and Dagger + Backstab the whole fight, this should be enough to maintain 15 stacks of Lead Attacks at all times. Make sure you hit Backstab the first time you use it, otherwise it will be on recharge for 1 sec which slows down your damage. The Icebow is usually allowed to be picked up, but often times the LH is specifically for the elementalist, so it is good practice to ask if party members are allowed to pick the LH up. These weapons should almost always be employed. Activating Revealed Training via healing and utility skills should also be remembered. The optional Deep Freeze should be done by at least one user of the Ice Bow at the beginning of an encounter when the boss has no stacks of defiance. The Ice Storm reticle should occupy as little space on the ground as possible as all the shards will concentrate on the hittable areas. Smoke Screen can be used at the beginning when picking the weapon up or before thunderclap to activate Revealed Training. Remember! Avoid using smoke screen in fire fields as you could disrupt the party from getting might. Use Wind Blast to push a target and Lightning Storm on large targets like the Tree endboss in TA. This should only be used while the target has over 50% health as D/D has a higher DPS with Heartseekers than LH does below 50% target health. Your preferred trash weapon set. The rotation is very simple. All you have to do is maintain Black Powder and use the auto-attack in between. Pistol Whip can be used to help regenerate some health via Signet of Malice in between Black Powders. Try try to maintain as much initiative as possible to deal extra damage. Use Basilisk Venom as Elite for destroying defiance bars. Your role as thief is to deal the most damage you can and nothing else. You should take your Daredevil elite for getting the breakbars down. Invigorating Precision is a good choice in this fight because even if the boss doesn’t hit you directly you get damage from different sources like auras or the seekers and your healer might not be around all the time because of the mechanics of the fight. Use Dash and Shadowstep to get to the rifts fast enough. For gorseval you take your Daredevil elite for Control. Impairing Daggers as utility skill helps with the breakbar and helps to prevent the ghosts from reaching gorseval in his invulnerable phases. You often steal stealth from mobs in this fight, use it to get the stealth staff attack during the breakbar phase. Don’t use your staff auto attack during the breakbar phase as it will kill you because of retaliation. Better use Vault or your dodges during that time. If you are not told to do the cannons just do your damage rotation until she is dead. If you have trouble staying over 90% hp consider Invigoration Precision as a viable option. Written by Xukk and Jeremy Blutschatten the first main thieves of rT. Edited and supported by Chase. Suggestions, Corrections and Questions in the comments or ingame are welcome. Very nice! Fingers crossed for Elementalist next! It’s a wonderful guide. I’m gonna drop my ranger for my thief now. I would say Basilisk Venom is conditional useful; underwater it can be useful to cause the jellyfish to get stuck in an electric field. Also, correct me if I’m wrong, It can cause enemy’s to sink underwater. I never saw basilisk venom letting enemies sink, maybe you used it while someone else let the enemy sink. But i could be wrong as i almost never use it now that we have Thieves Guild underwater available. PvE Builds are all about taking the traits which provide the most % damage for stuff you use, stat buffs or vulnerability. We decided to take the one with the best look ^^. An other thing is, that http://gw2buildcraft.com/ still uses the old trait system and doesn’t have the new grandmaster traits :/ But you can be sure that this build with its’ variations is the most effecient. Ahh I see, yea basilisk probably doesn’t sink. And I didn’t know they allowed thieves guild underwater now, definitely better to use that. Good to know that buildcraft is outdated also. That was a good tool, hopefully they update. I’ve been running torment for a couple days now after noticing that thief can get so many stacks. I can solo a ton still, but as you said the cool-down is so long that it’s really difficult to sustain. So for boss fight it’s not favorable. I traited initiative regains to try and make up for it but those traits could obviously be used elsewhere to make things easier. I was wondering, would you be able to elaborate in your guide on the best auto-attack chain-breaking for a couple of skills? I can’t get it to work. For instance, d/d auto seems to require a great deal of distance from enemies before it breaks, and p/d shadow shot seems to only break if the jump is quite instantaneously. Glad i was able to help you, as long as your enemy doesnt move or you have capped bleeding you shouldnt specify on torment, because it just deals 75% of bleeding on non moving enemies. Might be more useful after recent updates now in PvP. I’ve enjoyed it so far. I have always wanted to start a thief but feared it would be difficult. This guide helped me to get some thorough knowledge of the class and create one. I only have one question about the rotation part. I know for most parts melee is our best option in the game – not just for thieves – but in some situations or pugs range can be necessary. So what kind of rotation should we use for shortbow, as it is the primary ranged weapon listed here? For shortbow there is no real rotation imo, just use trickshot for sustained ranged damage and clusterbomb to blast all the field your groupmates provide like waterfield for heal or firefield for might. When you get close to a bunch of mobs you can also spam clusterbomb in melee as long as you melee weapons are on cooldown. Skill 3 for evade, got more difficult though. with skill 4 you apply poison to healing enemys and blasted with clusterbomb it applies area weakness to your foes. Skill 5 for movement ofc. 2 sigils of force? wiki says they dont stack. so you should end up with +5% damage. You are right they dont stack, you combine it with other sigills like night or slaying. ive found the dagger/pistol to be really useful for me, id like to see a rotation section for that too, if possible. im curious what other, more dedicated players have done with it. We have no d/p rotation, because it would consume way to much initiative to use it as main set. The only thing for this set would be the defiant ripping with headshot (pistol4). But there is no proper rotation for PvE. So the parts about the attacks of this set should help in this case. interesting. thanks for your response! i played sword/dagger for the longest time, but it just didnt sit well with me for some reason. but with dagger/pistol i have incredible mobility, and the usual rotation involves dodge(w/ caltrops)>steal>dodge>d/p3>dodge>etc. depending on the situation. between each rotation i usually have a few seconds where i focus on dps(using dagger AA usually, i have frailty sigil on it) or recovery or using my stolen bundle. that gives my initiative and endurance time to recharge and start the process again, and i can usually maintain bleeds/cripples on a single target or small group that way. on top of that, theres the bonuses you discussed about the dagger and pistol’s own skills, and overall it has served me well in and out of the dungeon. I am looking for same pro dungeon thief gameplay videos. I have been playing thief for 6 months, and I feel like I have not found a good enough grasp of thief in team fights. Could anyone Please help me find people or link or videos of thief footage pro gameplay please.! ? Can someone explain the Sigil part. Why do we need s/d/p with BL Sgils? And why a sword with fire? You need BL-Sigils on those weapons only if you switch your weapons often and also want to maintain the bloodlust stacks. For myself i have bloodlust on my shortbow and i almost never switch it out so my stacks stay with me anyways. Fire on sword is for fights with large groups where you can’t use slaying or night sigils. Ah okay thank you. Yeah I also have a BL sigil on my shortbow so this should be enough. Did anet really remove Ricochet??? Blasphemy, if so. Also, a bit out of topic. I’d like to join some guild with active and experienced people to guide me. I’d like to learn and get some deep knowledge about fractals and dungeons. But as newbie I can get only to the guild of newbies, where I won’t learn a dam’ thing. No, I don’t want to ask about getting me into rT. Just – do you have any tip on how to get experience and knowledge about PvE? You should find a fitting guild on the official forums. I always recommend gw2dungeons.net for getting into dungeons. Besides that only practice helps. Thanks for the guide, helps me get back into the game. So when it says for the staff ability info “The staff auto attack alone deals the most damage a thief can do.” Does this mean that on a dummy the it will do more dmg than the D/D CnD or DS+HS and DS+WS+HS rotations? Considering the staff auto attack does this mean thats all you spam? That sounds boring. Oh nvm Im stupid lol. im sticking sticking d/d, but for my swap weapon, should i go bow or staff if using daredevil? If you use D/D and want to maximise your damage you should take Trickery instead of Daredevil. If you are raiding, be aware that some bosses reveal you all the time which makes it impossible to do the backstab rotation. you should always switch to daredevil and staff there. Staff and D/D have pretty much the same damage output. Still using my D/D Thief and does decent damage in mostly Exotic Armor & A Few Ascended Pieces. I thought about trying Condi but not sure I want to do that yet. How relevant is this guide in Fall 2018? Any major changes? Just started playing.